Concrete driveways have changed a lot in the last few decades. Gone are the thick, ugly slabs of cheap concrete and in their place are new long-lasting coloured concrete with unique patterns pressed or stamped onto the surface. 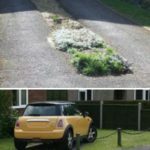 Perhaps this is why concrete is becoming one of the most sought-after low-maintenance options for gardens in the UK. 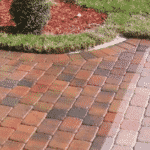 Are you thinking about replacing your driveway with a new concrete one? We know how much they cost and can provide you with a guide price based on our experience in the home improvement industry. We are tradespeople ourselves and have experience renovating homes in the UK. We know how a professionally installed imprinted concrete driveway can increase the value of almost any home and make it more appealing to the eye. 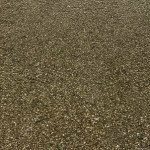 Gravel/stones – This option is the cheapest of the four but has its pitfalls, the gravel gets everywhere, into the house and out on the street. It’s also difficult to clean, especially during Autumn when lots of leaves and twigs fall from the trees. Tarmac – An attractive option, not the cheapest but not the most expensive either. Colour options are limited to either red or black and both fade with time. 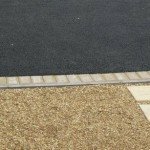 Blocks – Block paving is a very popular way to finish off a driveway, and there is a tonne of options, including thousands of pattern combinations and hundreds of edging options. See our separate price for block paving here. 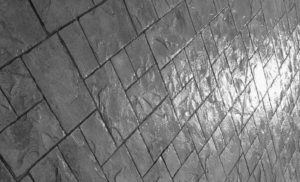 Concrete – This page is all about pattern imprinted concrete driveways, so keep reading to see how much it costs and what options you have. Here is a works schedule, it details everything that’s included in the prices you’ll see further down this page. This is optional, and you can skip it if you wish. 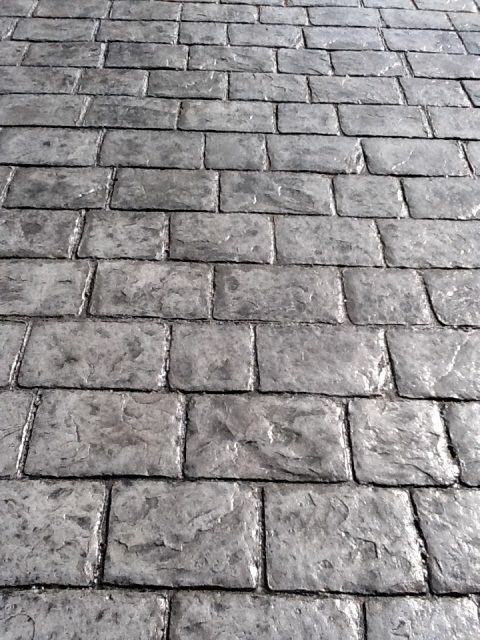 You can reduce the price of a pattern imprinted concrete driveway by laying it on top of an existing sub-base, thus removing the need for extensive and costly excavation work. It isn’t always possible to lay the concrete directly onto driveway (tarmac or blocks) as the extra 100mm would cause issues at the driveway boundary, at the entrance to any garages and it could breach the damp course of the property. If this is the case, the existing driveway would need to be lifted, but any sound sub-base could be reused. The list below is not exhaustive but covers the key points. For large areas, it’s very cost-effective. You’ll find a wide choice of pattern combinations and colours. Very little maintenance, no weeds will grow through. Easy to clean. Impossible to patch repair if it becomes damaged (perhaps to gain access to cables or pipes under the ground). Once broken you will need to replace the whole lot. Can suffer from cracks even with crack control joints. 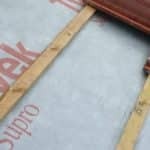 Flaking and spalling are also common if the installer doesn’t lay it correctly. How You Received a Price For a New Driveway? This is your opportunity to let our visitors know how much you’ve been quoted for a new driveway in the UK. You can add your prices by filling out this form (no email required). Regular visitors to our website know how we love to get ideas and inspiration from Pinterest. Below you can find a selection of images we like. There are plenty more on Pinterest. We’ve based our guideline price for a concrete driveway on our experience in the home improvement industry. 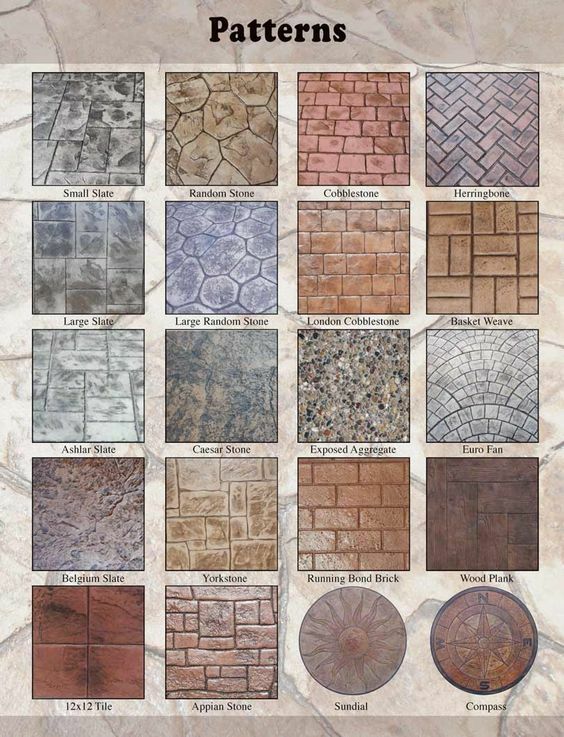 You can share this page on Facebook, Twitter or your favourite web forum and see what others think of our concrete driveway price guide. 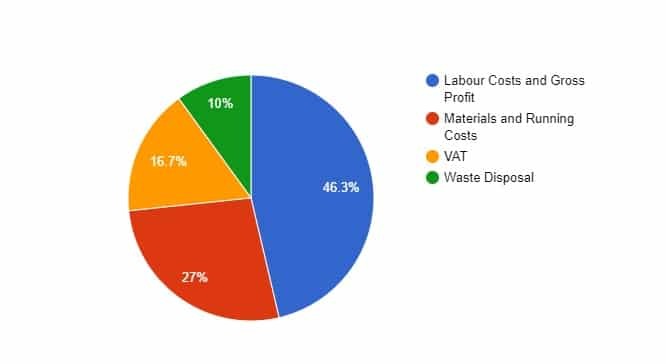 Don't forget; not every business charges VAT. 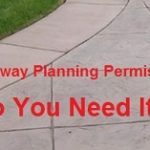 The contractor can advise on planning permissions but assuming that rainwater is managed via channels and soakaways and does not run off onto the pavement or main road, then permission is generally not needed. Can this work be done "DIY"? No, this type of work requires specialist skilled tradespeople. There is no margin for error as the surface cannot be repaired after the cement has dried. Also, the mats used to imprint the pattern are not cheap. The cement will most likely be delivered by truck so will need to be laid and stamped within a certain time otherwise the load will be spoiled. 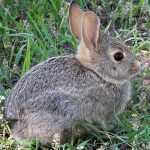 Is it true that moss and weeds won't grow on concrete? If the concrete is professionally laid, weeds should not grow through. 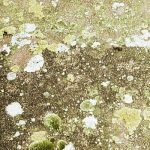 Moss and algae can grow on the surface but should be easy to clean off. Concrete, even coloured concrete is not slippery but the translucent sealant applied to the surface can be. Different sealants have different grip so consult your contractor to see if they can use a non-slip surface sealer. The bulk of the time will be taken up excavating and preparing the sub-base and base. The actual laying of the concrete and imprinting a pattern will take less than one day. For a 40 square metre area, the work will take around 4 days, assuming full dig out and base installation. What type of contractor does this work? 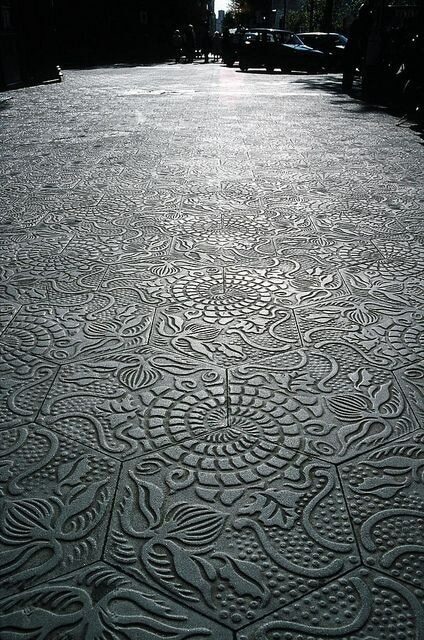 Some landscape gardeners and most driveway installers will have experience with pattern imprinted concrete. Due to the number of cowboys in this industry and the fact that they only get one chance to get it right before the cement sets, we suggest you get references and follow them up with a visual inspection of their previous work. How easy is it to repair if it gets damaged? Oil and solvents can be cleaned from the surface without causing permanent damage (unlike tarmac). However, if the concrete is damaged and cracks, it can't be repaired. You can see hundreds of different patterns and ideas on Pinterest.